Tom Lether, along with Lether & Associates has been awarded the Washington State Dispute Resolution Award: Insurance Litigator of the Year! The Dispute Resolution Awards identify the main players in what is a fiercely competitive market. With a culmination of peer reviews and in-house research they pinpoint leading individuals and firms across a range of industries. Acquisition International prides itself on the validity of its awards and its winners. They are given solely on merit and recognition of leaders in their respective fields. Excess and Reinsurance Issues are increasingly important topics that are prevalent in insurance litigation across the country. We have knowledge and experience dealing with these complex matters. If you have any question or concerns please feel free the contact Lether & Associates. Lether & Associates offers a wide array of services for clients dealing with excess insurance issues. Given the exposures involved in these claims, assessing and advising our clients impacting multiple layers of coverage is crucial. We have significant experience in dealing with allocation disputes across layers of coverage, exhaustion issues, drop-down issues, primary insurer insolvency issues, self-insured retention issues, and the interpretation of “following form” and “other insurance” provisions. Lether & Associates represents primary and excess insurers in coverage and contribution actions as well as in direct actions by or against insureds. We are available to provide comprehensive representation, from consultation through litigation and appeals, on any excess insurance issue. As the insurance industry continues to expand, Lether & Associates has become adept at representing clients in the reinsurance market. Lether & Associates represents both underlying insurers and reinsurers in regard to all manner of reinsurance issues. We represent clients in navigating the unique standards and practices applicable to the reinsurance market from the inception of claims through their conclusion. Lether & Associates provides advice as to the operation of reinsurance agreements, the complex coverages provided by those agreements, and the rights and obligations of the parties to those agreements. Lether & Associates also provides assistance with the drafting, negotiating, structuring, and regulatory approval of reinsurance agreements and forms. 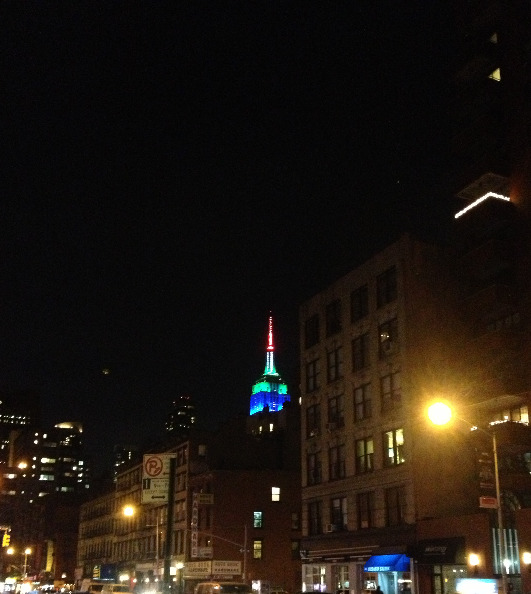 The Empire State building in New York was Blue and Green Monday and Tuesday night as part of the #whosgonnawin promotion put on by Verizon. This picture was taken by Lether & Associates Attorney Brian Donovan right outside the New York Office. Recently, a slew of national attention has been directed at brain injuries. From former NFL players and professional boxers suffering from the effects of chronic brain damage, to the dangers of concussions suffered during youth athletics, concern is growing over the protection of the brain. This has resulted in an increase of Traumatic Brain Injury (TBI) claims. While legal claims for injury to the brain have long been commonly asserted in bodily injury actions, we expect an increase in these claims as public awareness of brain injuries has risen. Brain injury claims are complicated and require knowledgeable legal representation. Lether & Associates has experience successfully defending such claims in both liability and coverage matters. Please do not hesitate to contact us with your questions or concerns. 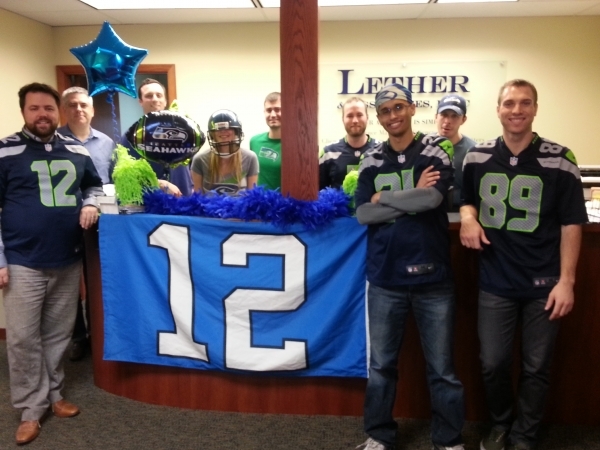 Happy Blue Friday From Lether & Associates Go Hawks!